Paul Adkins established The Mitchell Hill Clinic in the South West of England and has been practising acupuncture there for over eight years. 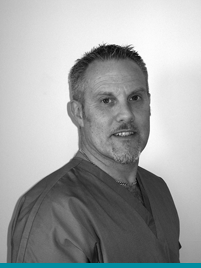 Qualified with an honours degree from the CTA Leamington College of Five-Element Acupuncture and a Member of the British Acupuncture Council, Paul is a Traditional Acupuncturist and the Founder of Facial Enhancement Cosmetic Acupuncture. He is the author of the ‘Pocket Guide to Facial Enhancement Acupuncture’ and has trained acupuncturists in over 30 countries to perform this natural, anti-ageing treatment. As a result, there are now practitioners in the UK, Europe and as far afield as Canada, New Zealand, Japan, Singapore, US, South Africa, Israel and the Caribbean. As well as lecturing on Facial Acupuncture both in the UK and worldwide, Paul became a Zita West Affiliated Fertility Acupuncturist in 2008 and specialises in Zita’s comprehensive, holistic approach to achieving optimum reproductive health. Micro Needle Therapy, using dermarollers, is the revolutionary beauty treatment that was launched at The Mitchell Hill Clinic in 2010. Paul saw this as a natural addition to his range of services and now offers training via his workshops and courses to fellow acupuncturists looking to practice this form of skin rejuvenation treatment in their own clinics. Paul, decided to create Cosmetic Acupuncture UK in 2008 as he was keen to maintain the integrity of cosmetic acupuncture as a highly skilled service. Cosmetic acupuncture (also known as facial enhancement, facial revitalisation or facial rejuvenation acupuncture) is a holistic treatment that treats the whole person. Paul feels that it is important to preserve the professionalism and high standards of this treatment. This is why he has created this exciting network for professional practitioners and for those seeking a cosmetic acupuncturist they can trust. Paul is also the founder of The 5 Element Acupuncture Network.